John Lovett who died in 1795, was the first of his family who settled in Shropshire. 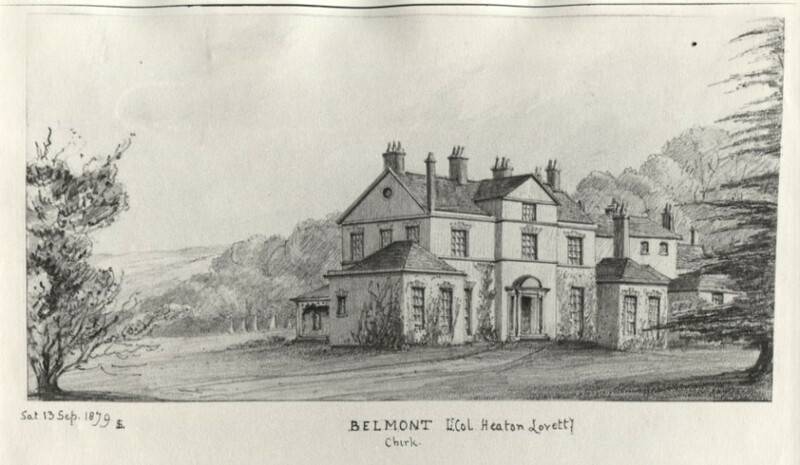 Belmont is very prettily situated, overlooking the Chirk and Brynkynalt woods, and there is an unconmen variety of trees in the lawns around the house. Thomas Heaton Lovett, Hon. Colonel of the second. Battalion of Shropshire Rifle Volunteers, formerly Major in the 98th. Reginent, is the present owner. (1880) The place was once part of the Aston estate of the Lloyds.